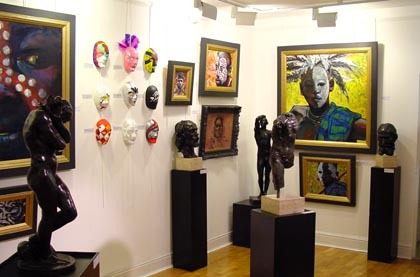 Faces of Africa, an exhibition of oil studies by South African artist John Speirs is to hang alongside the ‘Make a Face Collection’ of masks created by superstars including Sir Elton John, Sir Michael & Lady Shakira Caine and Paris Hilton for Education Africa. 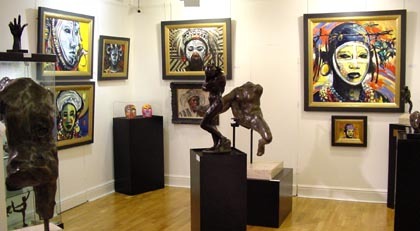 These works can be seen at the Hay Hill Gallery, 23 Cork Street, Mayfair, London W1S 3NJ - 020 7734 7010 - www.hayhill.com. 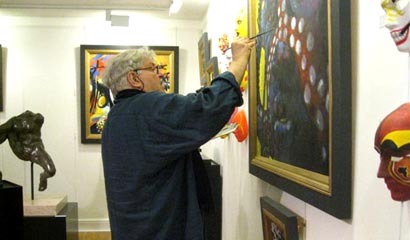 This is a preview of his first solo show, which will also be held at the Hay Hill Gallery at end of this year. 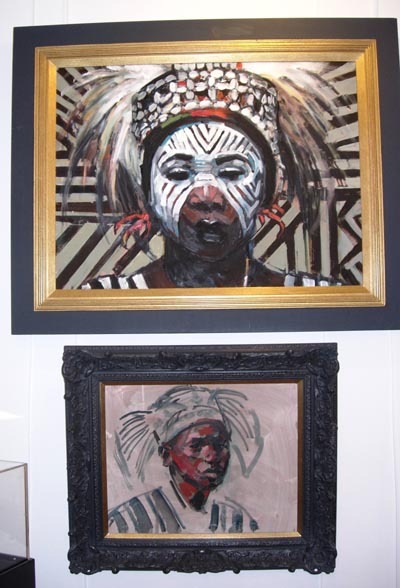 A percentage of sales from Faces of Africa while on show at the Hay Hill Gallery from 25th March to 5th April, will be donated to Education Africa – see dig deep and add a John Spiers to your collection. 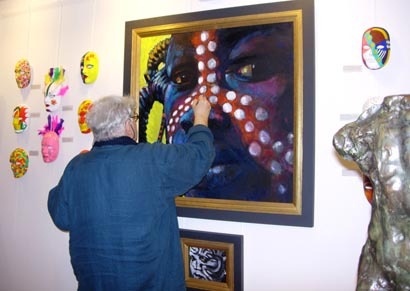 "I was born in Cape Town with a paintbrush in one hand and a tube of oil paint in the other. 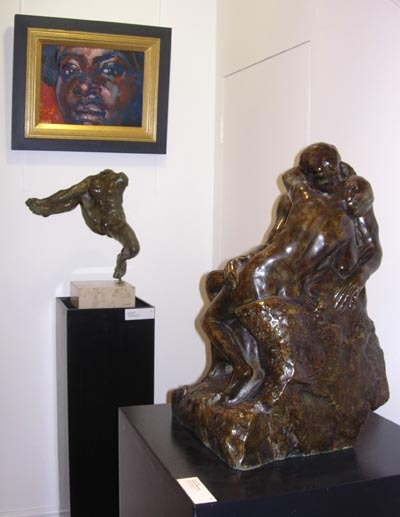 Throughout my formative years in South Africa, I was lauded as a prodigy and greatly indulged by leading artists – Irma Stern, Maggie Laubser and Eleanor White. My ego soared. 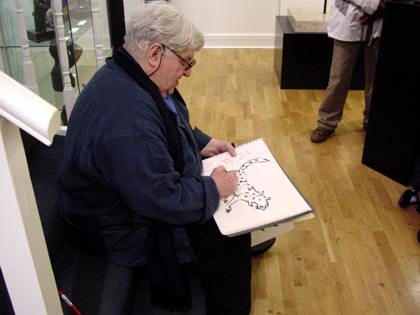 At the Michaelis School of Art, I was too hot to handle and was shipped off to The Slade with a hefty bursary in my pocket. The Slade was my perfect catalyst. 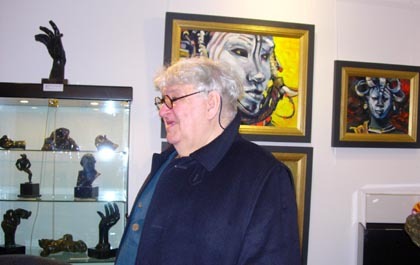 Colour, flashy paintwork and exuberant draughtsmanship – often frowned upon by the establishment – brought me to the attention of Larry Rivers, Oskar Kokoschka and others who recognized my hedonistic spirit. 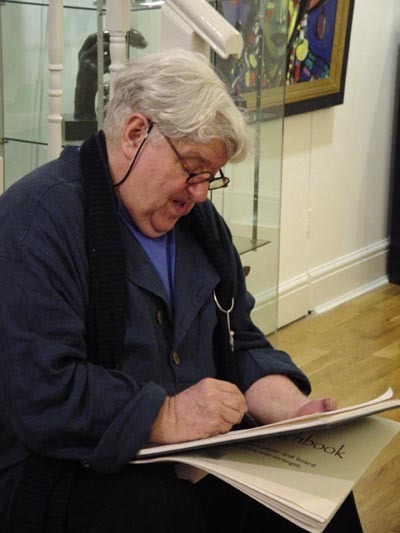 The need to support a family and a dangerous appetite for collecting paintings took me through years of restraint in advertising, packaging, fashion, publishing in London Paris and New York. But the love of paint, deep in my soul, had to burst out. After a long sabbatical I took up the oil paint, the brush and a heady lungful of turps and started to paint again with a passion I had never known before. My head became filled with images of my childhood in Africa. 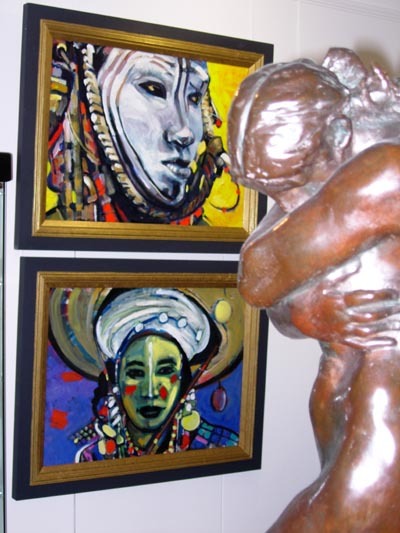 African colour flooded my eyes whilst African music assaulted my senses. These paintings are the result." 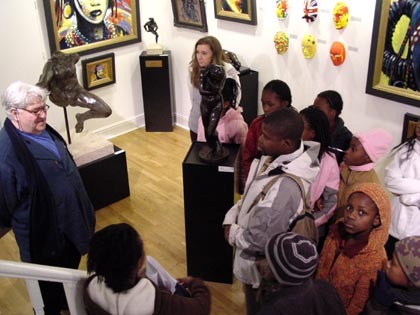 International celebrity and legendry campaigner, Sir Bob has already done so much to help the disadvantaged and poor of Africa. 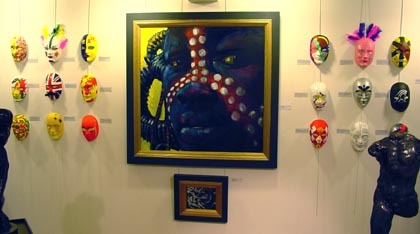 His mask is meant to represent the wonders of Africa and the future of this amazing continent. This mask is not available on eBay. Peter Jones, star of the hit TV business series ‘Dragon’s Den’ and entrepreneur has created a signature mask from his world. His representation of a dragon links in with the famed TV series. This mask is not available on eBay. Masibambane School is a school in the poor township of Orange Farm 50 km south of Johannesburg that has been built and supported by the charity Education Africa. 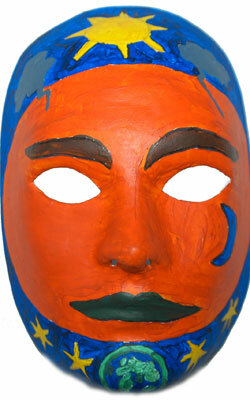 This mask completed by the children of this school represents the beauty and difficulties of the life they lead. This mask will not be available on eBay. Sting, world famous musician and human rights campaigner has created this wonderful mask following a theme of Harlequin meets mystic. This mask is not available on Ebay. Lily Cole, international model and actress has created this delicate mask featuring hearts and insects. Lily herself is a keen development campaigner and is currently balancing an international screen career with a degree at Cambridge University. This mask will not be available on eBay. The 'MAKE A FACE - transform a life' campaign sees internationally renowned personalities lending their support to Education Africa by painting blank masks for auction at this years gala dinner to be held at the May Fair Hotel in London on March 31st 2009, with the auction being held by Sotheby’s Olympia Chairman Lord Dalmeny. 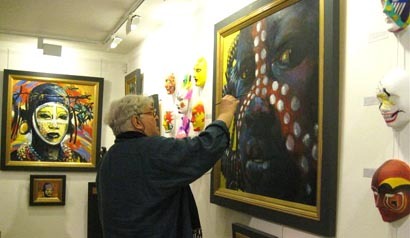 The completed masks will be exhibited, each under the name of their creator, in London and online and from March 26th on the Ebay for Charity site. 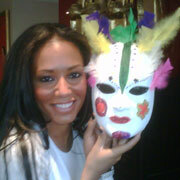 You are invited to submit bids for each mask. 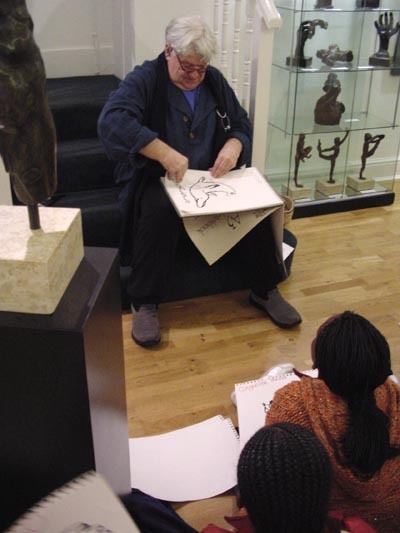 Help to raise funds vital to continuing Education Africa's life changing work. 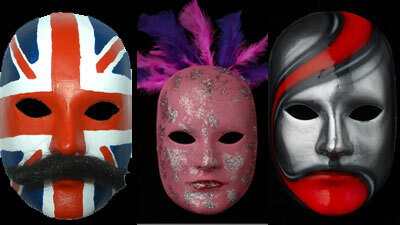 Masks are available to bid on at Ebay for Charity. 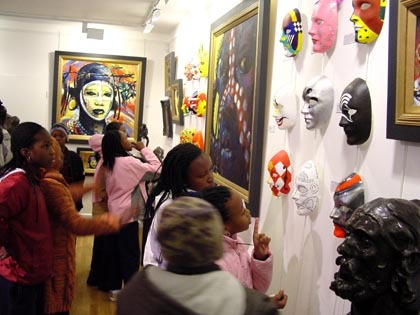 The masks are exhibited alongside 'Faces of Africa' an exhibition of works inspired by images of the African childhood of John Spiers. 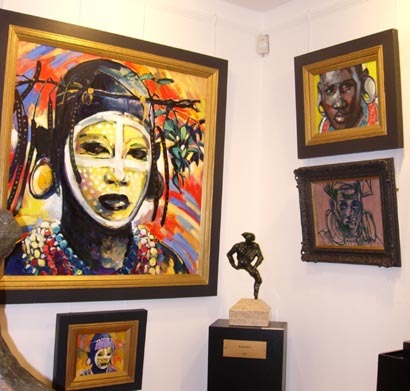 'African colour flooded my eyes whilst African music assaulted my senses. These paintings are the result.' 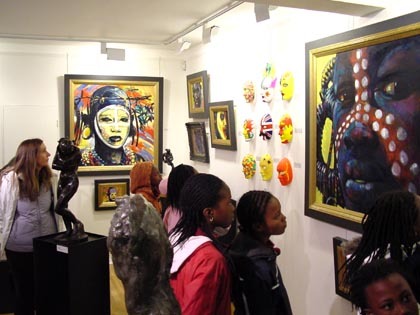 A percentage of sales from 'Faces of Africa' from 26th March until 5th April will be donated to Education Africa. 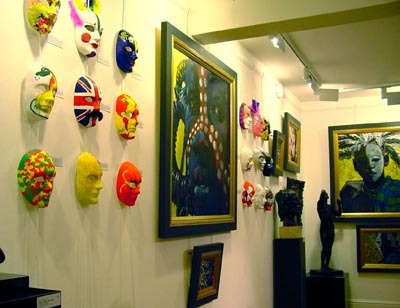 The Make a Mask Collection is exhibited by kind permission of the Hay Hill Gallery, 23 Cork Street, Mayfair, London W1S 3NJ. Opening hours 10am - 6pm Monday to Saturday. Stars including Paris Hilton, Simon Cowell and Lewis Hamilton have painted their own face masks to help raise £750,000 for Africa. 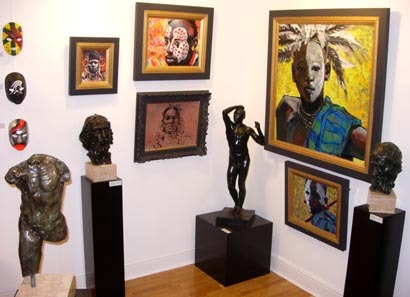 They are among 20 of the biggest names in film, music, business and sport who will auction off their creations on eBay. 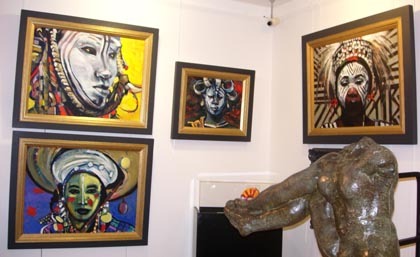 Every piece says something about the creator and they are expected to fetch thousands of pounds each. Among the colourful creations is a silver, red and black mask designed by motor racing ace Hamilton, then spray painted by his F1 team. Glamorous Paris Hilton's mask is painted pink, decorated with silver tinsel and features a purple and crimson feather headress. She signs it under a large loveheart. Meanwhile, Olympic gold medal-winning decathlete Thompson paints his mask with a Union Jack and furnishes it with a tell-tale bushy moustache. Other contributors include model Lily Cole, Jude Law, Sir Philip Green, Sir Stuart Rose, Sir David Tang, Annie Lennox, Amanda Holden, Piers Morgan, Sergio Garcia, Retief Goosen, Gary Player, Tim Henman, Bjorn Borg, Mel B, Cleo Rocos and Tim Henman. 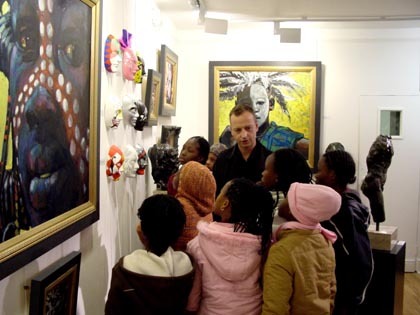 The 'Make a Face - transform a life' campaign has been launched on eBay by the charity Education Africa. We are equally impressed by the very high standard of creativity. 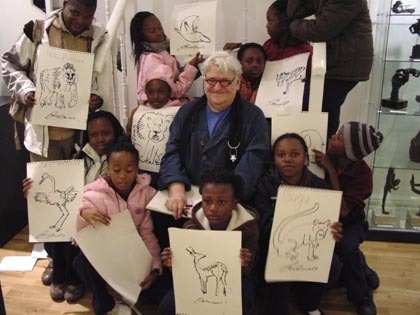 Education Africa's Jania Geoghegan - click here to see the masks. 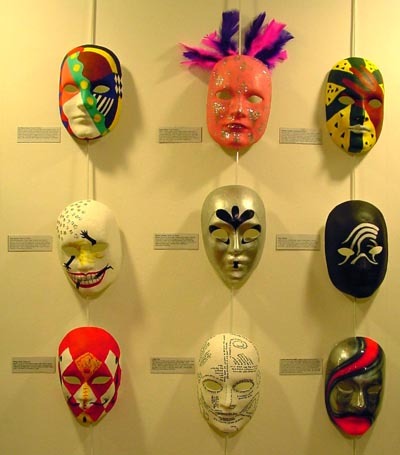 Bidders for the masks can find the auction on eBay and it runs until April 5. 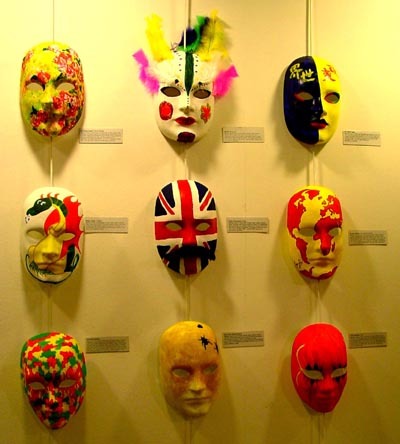 Bid for the masks here. 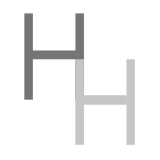 A follow-up auction - held by Sotheby's UK Chairman Lord Dalmeny - will be held at the Mayfair Hotel on March 31. 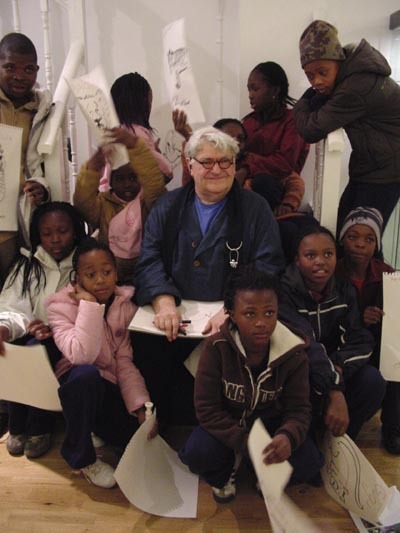 Education Africa has for 17 years been helping poor children in South Africa, offering them an education. "We have all been overwhelmed by the generous response of so many celebrities to our unique campaign," chairperson Jania Geoghegan said. 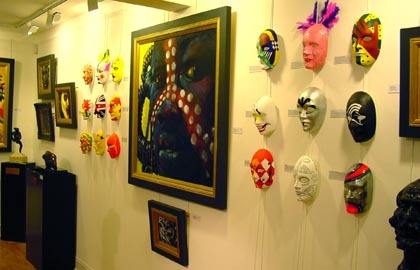 A selection of masks will be exhibited at the Hay Hill Gallery, in Cork Street, Mayfair, London. 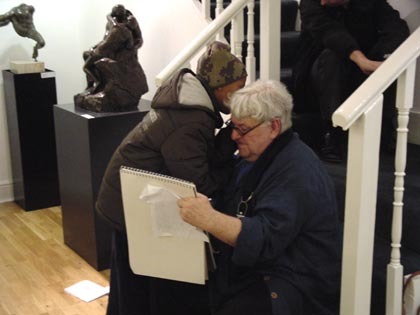 Opening hours are 10am - 6pm Monday to Saturday. Submitted by Sahil Nagpal on Fri, 03/27/2009 - 07:21. London, Mar 27 : Celebrities like Lewis Hamilton, Paris Hilton, and Simon Cowell have decorated their own facemasks for an auction, aimed at raising 750,000 pounds for Africa. Around 20 big names associated with business, sports, music and Hollywood have contributed to the auction by painting their own facemasks. 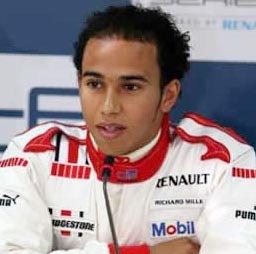 While Hilton has painted her mask with pink colour, including silver highlights with a purple headgear, Lewis Hamilton has painted his with red, black and silver colours. Other celebrities to make their contributions to `The ''Make a Face - transform a life'' campaign included Lily Cole, Jude Law, Sir Philip Green, Sir Stuart Rose, Sir David Tang, Annie Lennox, Amanda Holden, Piers Morgan, Sergio Garcia, Retief Goosen, Gary Player, Tim Henman, Bjorn Borg, Mel B, Cleo Rocos, and Tim Henman. The campaign has been launched on eBay by the charity Education Africa. 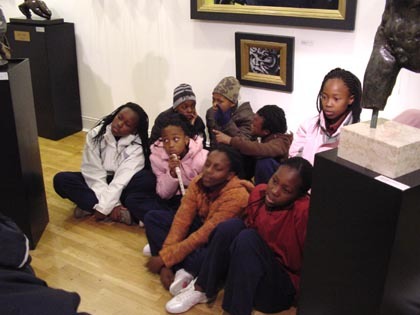 The charity Education Africa has been helping poor children in South Africa by offering them education for 17 years. The chairwoman of the charity, Jania Geoghegan, revealed that she was grateful to the celebrities for contributing to the campaign. "We have all been overwhelmed by the generous response of so many celebrities to our unique campaign," Sky News quoted her as saying. Thank you both so much for the very generous support you have provided to us, to help make our "Make a Face - Change a Life" fundraising campaign such a resounding success. The unique masks, which were created and were, thanks to you, enhanced for our auction through the addition of one-off experiences, have raised in excess of £434,000 to date. This is a staggering figure in these difficult times and will go directly towards funding our many life-changing projects in South Africa, and for that, we are incredibly grateful. The highlight of our campaign was the Gala Fundraising Dinner held at The May Fair Hotel in London on 31st March. 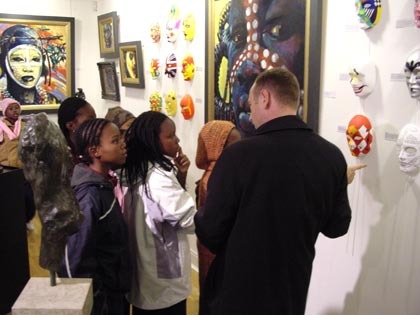 This was a wonderful evening for all who attended, not least from the group of 10 children who were able to join us from Masibambane School in Orange Farm, near Johannesburg. This school is a groundbreaking and shining example of what can be achieved to transform education in exceedingly poor communities. 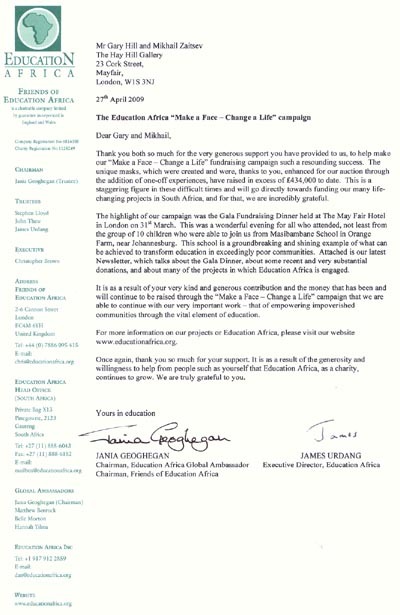 Attached is our latest Newsletter, which talks about the Gala Dinner, about some recent and very substantial donations, and about many of the projects in which Education Africa is engaged. It is as a result of your very kind and generous contribution and the money that has been and will continue to be raised through the "Make a Face - Change a Life" campaign that we are able to continue with our very important work - that of empowering impoverished communities through the vital element of education. 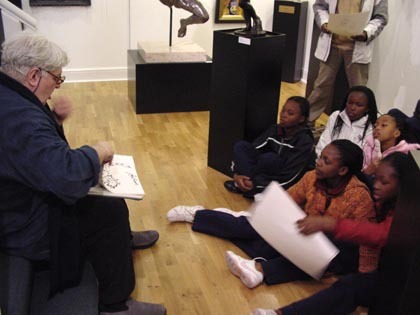 For more information on our projects or Education Africa, please visit our website www.educationafrica.org. Once again, thank you so much for your support. 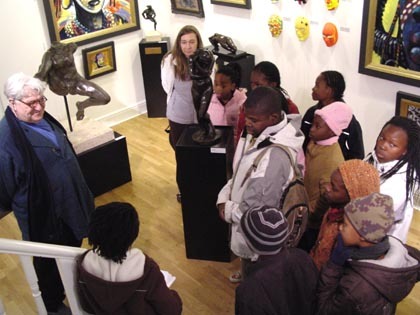 It is as a result of the generosity and willingness to help from people such as yourself that Education Africa, as a charity, continues to grow. We are truly grateful to you.